Looking for a Used Forte in your area? 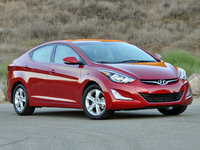 CarGurus has 24,914 nationwide Forte listings starting at $2,495. Kia builds on its reputation for value and family-friendliness with the 2016 Forte lineup. This compact 5-seater is again available as either a sedan or hatchback (Forte5), with its coupe variant (Koup) covered in a separate preview. Each edition remains surprisingly well-equipped and offers a number of high-end add-ons. Despite all this, however, most reviewers consider the Forte just a tad less polished than most of its rivals. 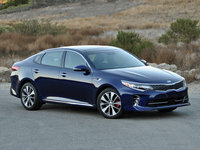 That being said, Kia’s Forte stable offers an attractive alternative to such perennial favorites as the Mazda Mazda 3, Honda Civic, Hyundai Elantra, and Volkswagen Golf and Jetta. The 2016 Forte also happens to be in dealer showrooms right now. The Forte sedan comes in the base LX and EX trims, while the Forte5 hatchback is now available in a new LX trim, along with the returning EX and SX. The debuting Forte5 LX introduces a few added perks over those offered for its 4-door counterpart, allowing Kia to tout reworked standard features and options among the various trims for the upcoming model year. Trunk space in the sedan versions remains a healthy 14.9 cubic feet, while cargo area in the 5-door Forte 5 is again listed as 23.2 cubic feet to the rear seatbacks (capacity with the rear seats folded remains unavailable). The Forte is again offered in front-wheel-drive (FWD) only. Power for the Forte LX sedan is a 1.8-liter inline 4-cylinder (I4) mill, managed by either a standard 6-speed manual transmission or an available 6-speed shiftable automatic. Look for 145 hp and 130 lb-ft of torque from this base I4 with either transmission, and mileage of 25 mpg city/37 highway/30 combined with the stick-shift and 26/29/31 with the automatic. The 2016 Forte EX iterations, along with the brand new Forte5 LX trim, get a 2.0-liter I4 engine paired solely with the 6-speed shiftable automatic. Expect 173 hp and 154 lb-ft of torque in the standard edition, with an available super ultra-low emissions vehicle (SULEV) version putting out 148 lb-ft of torque. Estimated mileage returns at 24/35/28. The Forte5 SX comes powered by a turbocharged 1.6-liter I4 that throws down 201 hp and 195 lb-ft of torque, managed by either the 6-speed stick-shift or the 6-speed shiftable automatic. Look for 21/29/24 from this force-fed 4-cylinder when equipped with either transmission. Reflecting the subtle changes for the upcoming year, not to mention an unusually abundant set of standard perks, the entry-level LX sedan features 15-inch steel wheels, heated power-adjustable mirrors, cloth upholstery, full power accessories, telescoping tilt-wheel steering, air conditioning, and a CD/MP3 player complemented by 4 speakers, satellite radio, and a USB port. Bluetooth hands-free calling also returns standard. The debuting Forte5 hatchback LX offers standard front fog/driving lights, turn-signal-integrated mirrors, and cruise control. The 2016 Forte EX editions in both 4-door and hatchback configurations add 17-inch alloy wheels, chrome exterior trim pieces, power-folding outside mirrors, a rear-view camera, a leather-wrapped multi-function steering-wheel, and Kia’s unique Flex-Steer driver-selectable steering assistance feature. The turbo-powered Forte5 SX includes standard 18-inch alloy wheels, alloy pedals, distinct front and rear styling cues, larger front brakes, and LED front fog/driving lights. Trim-dependent options for 2016 Forte variants include the Premium and Premium Plus packages, which add GPS navigation (with 7-inch touchscreen), keyless entry and ignition, an auto-dimming rear-view mirror, a power sunroof, leather upholstery, a ventilated power-adjustable driver’s seat, LED taillights, and an upgraded gauge cluster. HD radio remains available as a standalone option on all trims. Standard safety equipment aboard the 2016 Forte includes 4-wheel antilock brakes, traction and stability control, front side-mounted airbags, and front and rear head-protection airbags. Be advised, however, that reviewers point out a significant number of upgraded safety technology features that are not available on the Forte, such as blind-spot monitoring, lane-keeping assistance, automatic emergency braking, and adaptive cruise control. Be that as it may, the government gives the 2016 Forte its best 5-star rating for overall crashworthiness. The Insurance Institute for Highway Safety (IIHS) awards the Forte its highest rating of Good on all tests, except for the newly instituted small-overlap frontal-offset testing, where the Forte scored a next-to-worst Marginal rating. The Forte also earned a second-best IIHS Acceptable rating for the ease-of-use of its child-safety-oriented LATCH system. In fairness, however, there seem to be very few automobiles out there that score any better on the insurance industry’s recently introduced front-impact criteria. 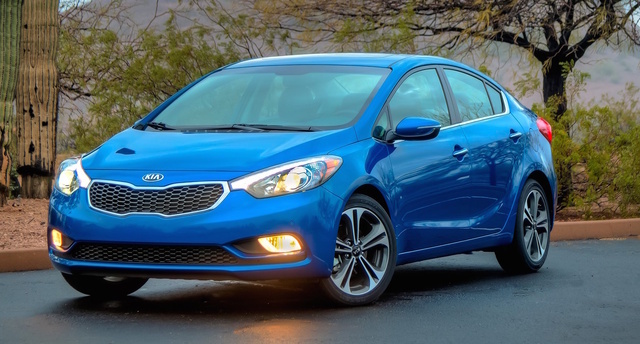 What's your take on the 2016 Kia Forte? Users ranked 2016 Kia Forte against other cars which they drove/owned. Each ranking was based on 9 categories. Here is the summary of top rankings. Have you driven a 2016 Kia Forte? Can You Trade In Your Car For Another Car? We are looking to trade in our car for a used SUV and i was wondering if we can trade with you guys or not. Car won't start with key or remote, but the lights come one. After trying 4 to 5 times the remote will work. My brake light on warning light is illuminated on the dashboard and I have not engaged the brake. I just had the brakes replaced and that did not shut the light off. What could be the problem? 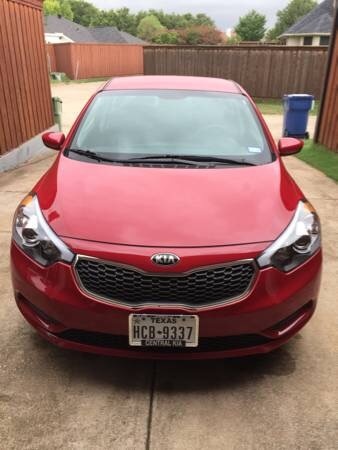 Does the 20016 Kia Forte have a timmer on the drivers side motorized mirror?